The online poker market in Nevada may get crowded in a hurry as at least two competitors to Ultimate Poker have made strides in launching soon. South Point Poker, under the brand of Real Gaming, has announced that players can begin creating accounts at the site in preparation of going live with their online poker offering. Players throughout the U.S. can register. 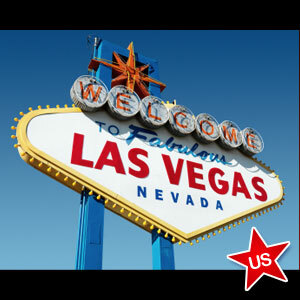 However, only Nevada residents and tourists will be able to access the real-money online poker games hosted by the site. The exact launch date hasn’t been announced, but it looks as if Real Gaming will soon be competing with Ultimate Poker for a share of the Nevada online poker market. In addition to accepting signups, a visit to the realgaming.com website also provides players with answers to frequently asked questions. While touting the site’s legality and safety, players are informed that advanced registration will permit Real Gaming to send an email advising the particulars of deposit options just prior to the official launch. Those players with a favorite screen name are urged to sign up at once in order to reserve their moniker before another player grabs it. In addition to the progress made at Real Gaming, indications are that Caesars Entertainment is still on track to launch their online poker offering shortly as well. The WSOP-branded poker room is likely to be a big hit among online players considering the popularity and name recognition that the WSOP has developed over the years. While no official launch date has been announced, CEO Gary Loveman believes it will happen this quarter. Players and visitors at the Rio for this summer’s WSOP in Las Vegas were inundated with advertisements announcing the imminent arrival of the poker site. Pre-registration is also available for players hoping to play once the virtual switch is turned on. Meanwhile, Ultimate Poker recently dealt its 10 millionth hand since launching on April 30. Steven Kelly scooped the pot of the milestone hand at a $.25/.50 No-Limit Hold’em cash table. His account was credited with $5,000 by UP as part of a huge promotion celebrating the event. Kelly’s tablemates were each awarded $500. The first regulated poker site in the U.S. has enjoyed three months without competition in reaching 10,000,000 hands dealt. However, the marketplace will gain some new players soon when Real Gaming and WSOP.com join the party.